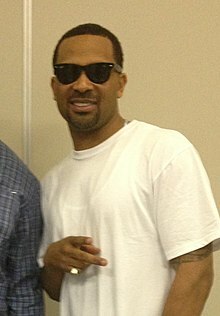 Michael Elliot "Mike" Epps (born November 18, 1970) is an American actor. His movies include Next Friday, Friday After Next, and Open Season 2. Epps' trademark is a voice similar to Martin Lawrence in the original Open Season. He replaced Lawrence as the voice of Boog in Open Season 2. This page was last changed on 28 August 2015, at 01:08.